Outlaw X is an NTN binding built the 22 Designs way - sweet flex, copious spring travel, rugged steel construction, blazing up and downhill performance. Plus step-in for a quick get away. An underfoot spring steel plate allows a lively flex without sacrificing lateral rigidity. A single long spring provides smooth travel, and an easy preload adjustment makes it easy to find the sweet spot. 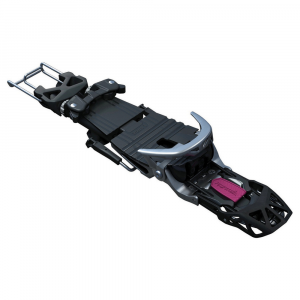 Always ready to run, the 22 Designs Outlaw X telemark ski bindings deliver free-pivot performance with a true step-in and pole-activated release that makes jumping into and out of your skis a cinch. From blasting down wind-buffed snow in the resort to getting low in deep backcountry pow, the 22 Designs Outlaw X Binding is a true do-it-all freeheel clamp. Building off the success of its first NTN offering, 22 Designs took the same sweet flex, instant engagement, and massive spring travel of the first iteration of the Outlaw and refined it a bit by introducing a new claw that allows for easy entry into the binding and an equally simple exit via the pole-activated mechanism. So if you're making the transition from duckbill boots to an NTN setup, you won't have to stoop down to fiddle with heel bails when you're gunning for first chair or getting ready for the descent on a steep, precarious ridge in the backcountry. 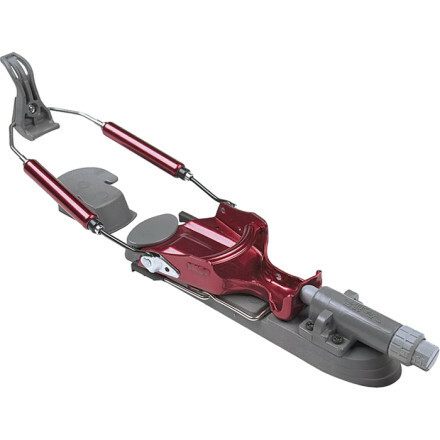 The Outlaw X borrows the same free-pivot performance made famous by the Axl and has a similar six-hole mounting pattern for the secure ski-to-binding retention aggressive freeheelers demand when arcing GS-style turns in the resort or backcountry. 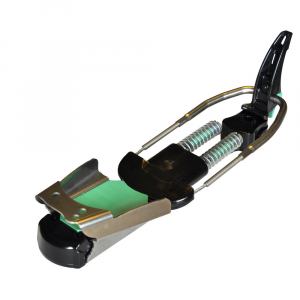 The spring-loaded climbing bail engages with a quick flick of the pole to reduce leg strain when touring in steep terrain, and the main die spring can be adjusted between five different settings to get the ideal amount of tension you need to suit your turning style. 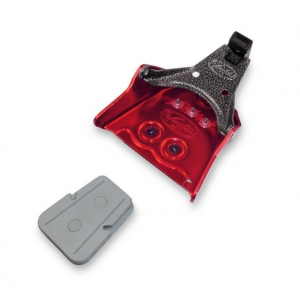 And while the main spring is adjustable, 22 Designs is also offering an additional stiffy spring set (sold separate) for skiers that prefer a stiff, aggressive feel from their bindings. 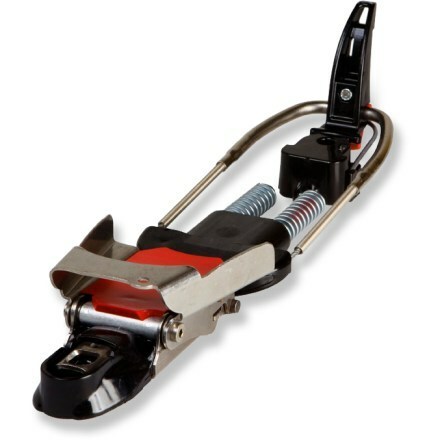 Twenty Two Designs Backcountry Skiing Outlaw NTN Bindings-Small OS. 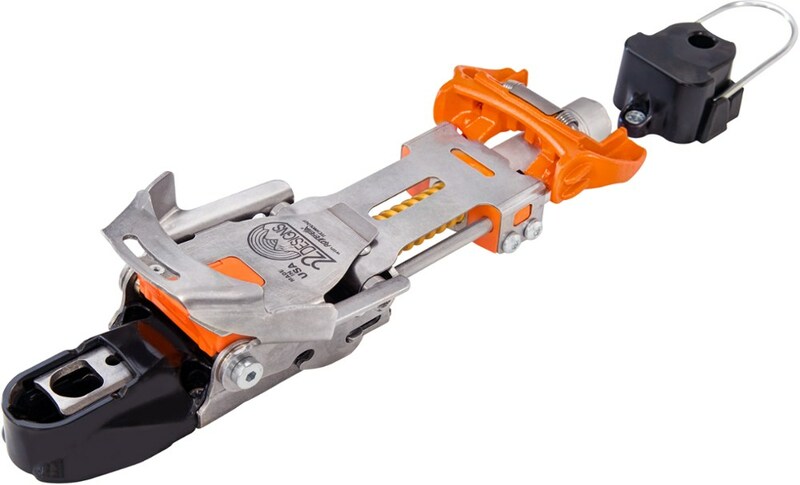 Introducing the OUTLAW an NTN binding built the 22 Designs way - sweet flex copious spring travel rugged steel construction blazing up and downhill performance. Plus step-in for a quick get away. An underfoot spring steel plate allows a lively flex without sacrificing lateral rigidity. 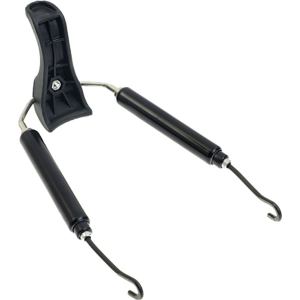 A single long spring provides smooth travel and an easy preload adjustment makes it easy to find the sweet spot. Borrowing proven touring technology from the Axl the Outlaw delivers true free-pivot performance. With a true step-in and pole activated release the Outlaw is always ready to run. The Outlaw can release laterally although it's not guaranteed. The Outlaw is not a DIN-certified releasable binding. Ski at your own risk.